J.A. 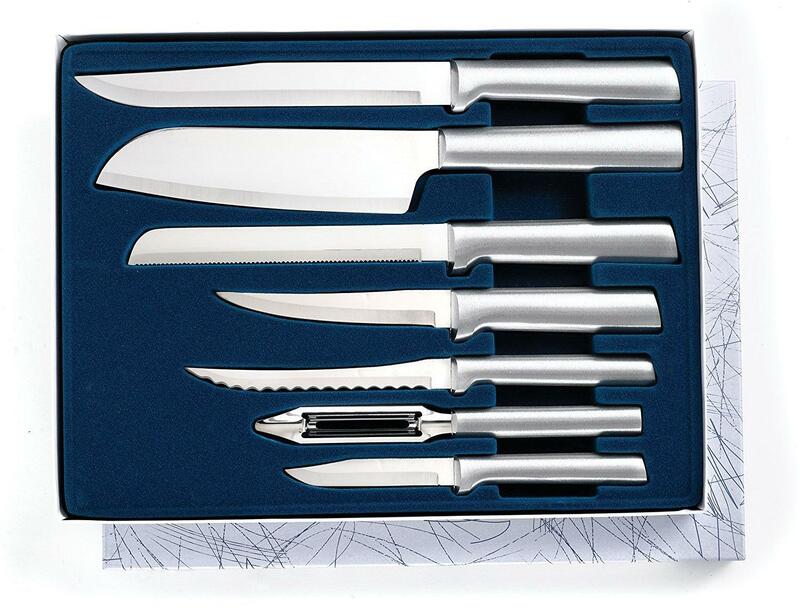 Henckels is known for its high quality knives that reflect a perfect blend of aesthetic and functional values. 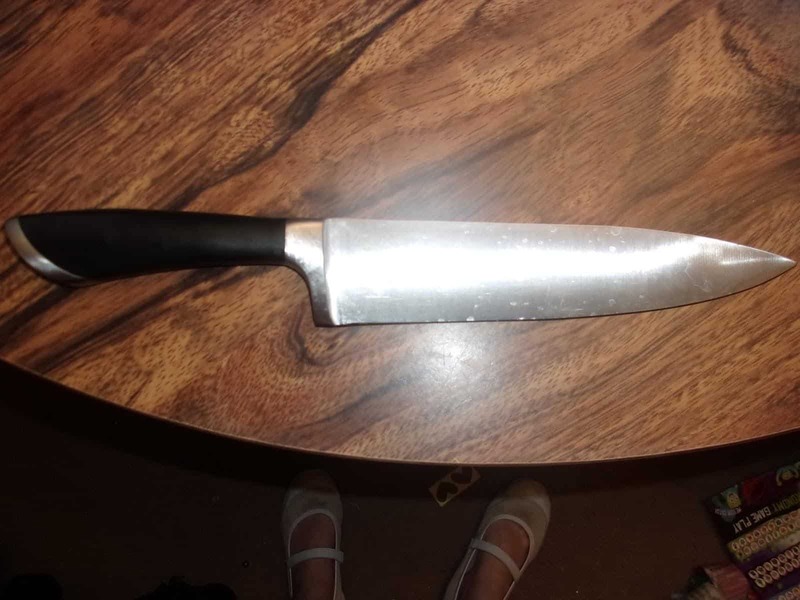 However, the Twin Cuisine chef’s knife is a bit different from the rest of its knives. 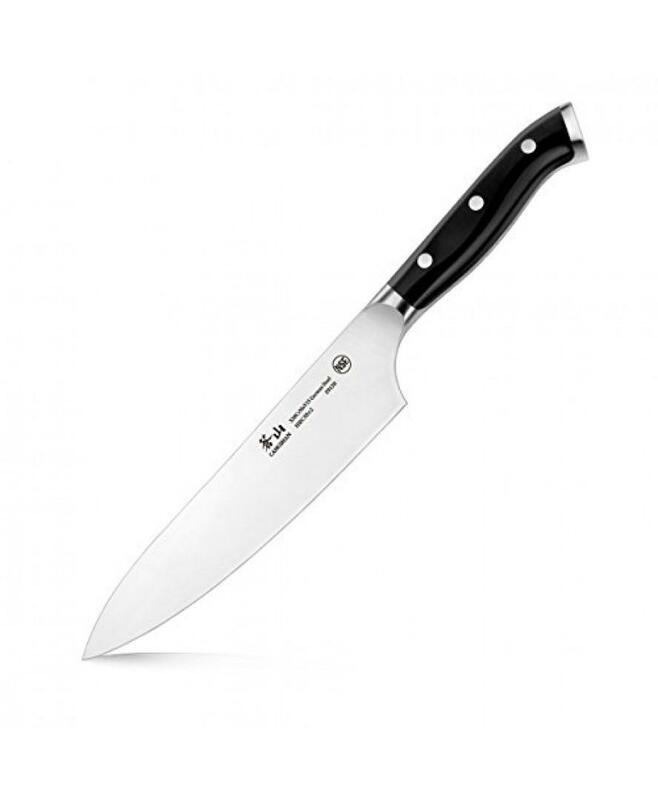 The Twin Cuisine chef’s knife is one of the newest premium models and the first forged tool having a molded handle with a noticeable full tang extending horizontally without rivets. This knife smartly combines functionality and innovation, which is in the form of technologically advanced handle. Construction wise, it is a heft but rightly balanced model for doing all relevant tasks without fatigue or safety risk. Do not be carried away by the term ‘B Grade’, as it does not indicate blemish but a bit dark and almost invisible smudge on blade. This is not a functional imperfection but a visual one, which is not a serious blemish. 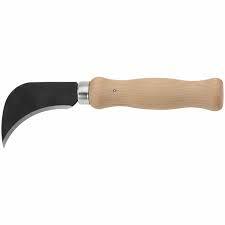 This knife combines the ease of an ergonomic molded handle with fill horizontal tang balance and weight’s precision. It is conventionally forged from a single and exclusive piece of high-carbon stainless steel. 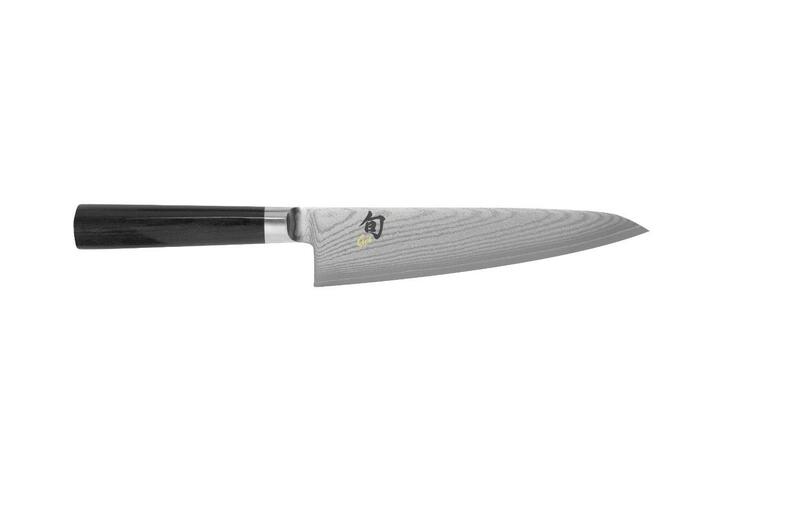 This delivers good weight, strength, and durability to the knife. This is the Henckels’ steel that is used in all its forged knives. Further, the brand’s proprietary Friodur ice-hardening procedure offers a highly reliable blade with maximum resistance to corrosion and superb edge retention. The steel undergoes this hardening procedure of heating, cooling, and reheating, which modifies the blade’s molecular structure for stain resistance and edge retention. The edge is laser controlled and precision honed, which is responsible for maintaining a consistent and sharper blade angle. The blade is truly razor sharp. Even if you have planned to use this knife for extensive chopping or cutting, the edge is going to be as sharp as it was when taken out from the box for the first time. The curved and pointed blade allows for easy rocking motion to boost the speed and precision of dicing, mincing, and slicing even hard stuff. This knife’s handle is totally different from that of all other chef’s knives. A majority of knives, regardless of whether they are full tang or not, feature a handle that reflects the blade when the edge is held perpendicular to the board. In simple words, the handle features a slim horizontal cross section as well as a tall vertical one. However, this highly ergonomic handle is quite unconventional in shape. It is wider in the horizontal section, which makes it most reliable for maximum easier grip. As a result, it is an award-winning design patented for the handle, which is also a new standard (#D524, 121). The rivetless, molded handle features a distinctive curve, with a glossy tang curving a bit while passing via the black polypropylene material known for its anti-slippery property. With no gaps or rivets, you are ensured of consistent comfort, while precise balance assurance comes from the full tang. Even the bolster comes with a modernized profile. It contributes to proper weight as well as right balance for a perfectly professional and safe cutting experience. 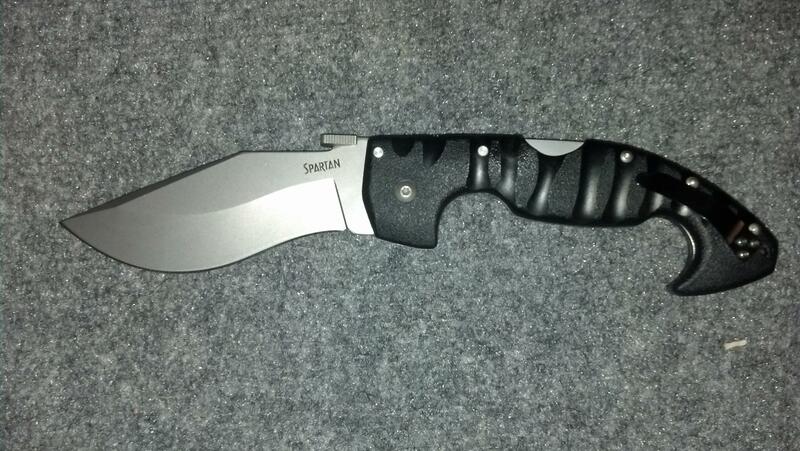 This knife has received 82 customer reviews on Amazon, which indicates that the tool is popular. 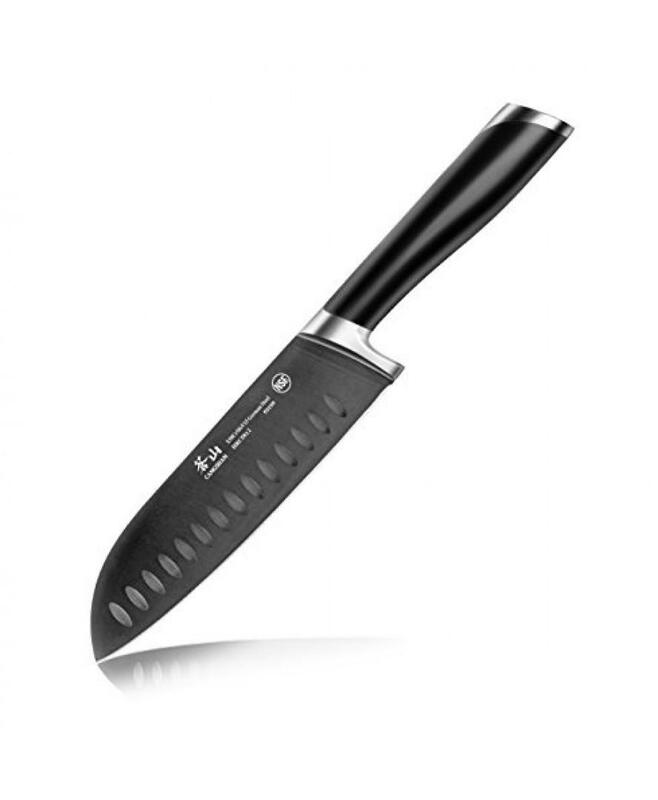 Similarly, the rating of 4.3 stars shows how reliable this knife is. 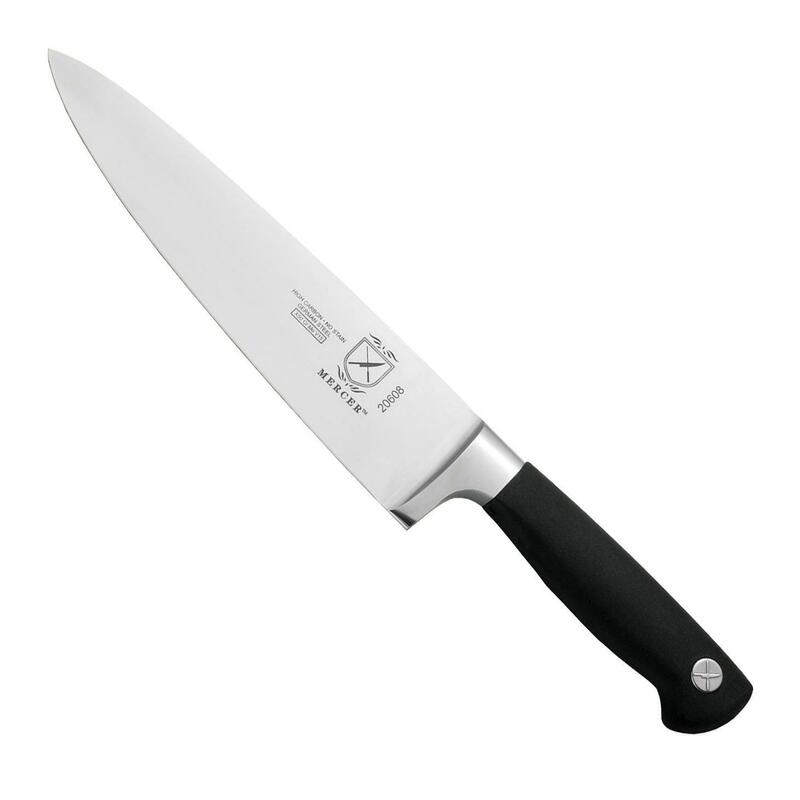 It is a great knife to have in every kitchen. However, it is not for those with smaller hands. It is perfectly fitting in larger hands.